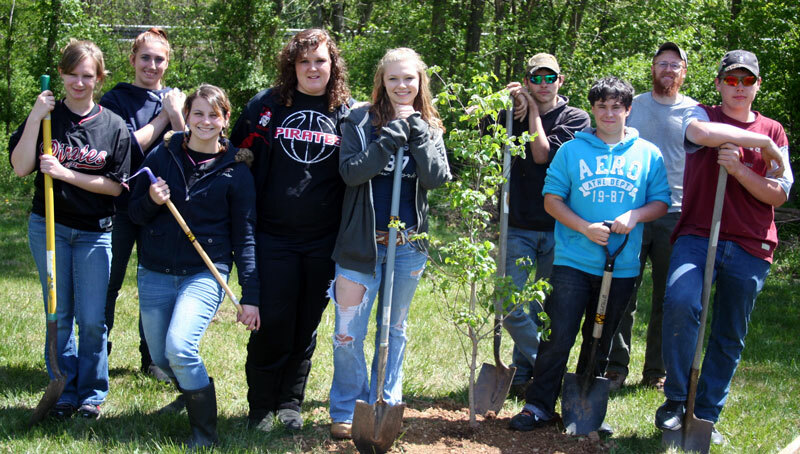 Paw Paw K-12 School was the recipient of a WV Project CommuniTree kit to plant 24 flowering trees that included Eastern Redbuds, Flowering Dogwoods, and Serviceberries. 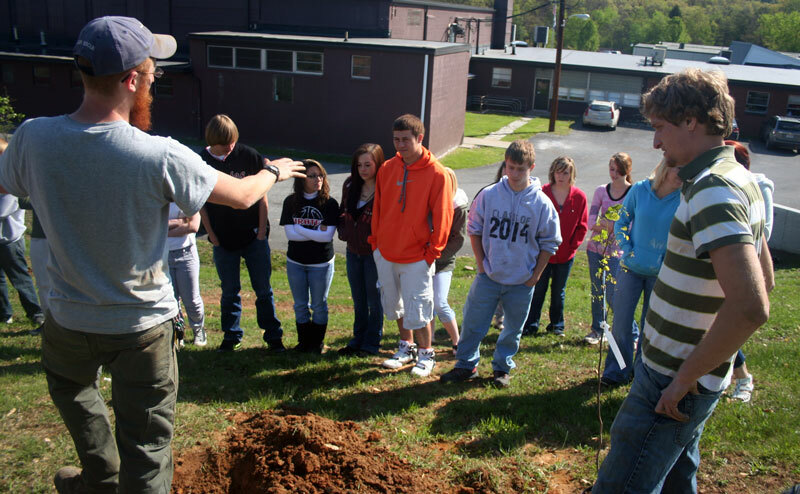 Carole Coryea, Paw Paw’s science teacher, worked with her students to complete the application and organize the project. 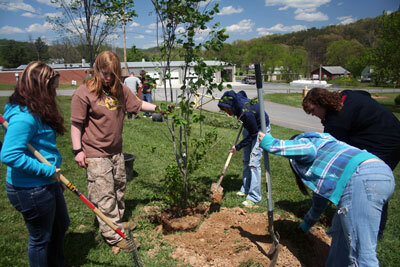 Throughout the course of the day, every student from her classes had their hands in the soil to help plant the trees. 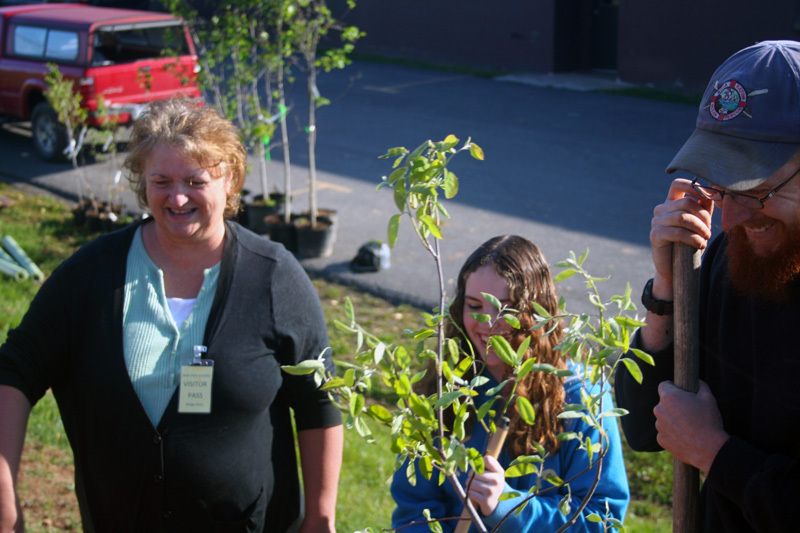 The students take great pride in the trees they planted and will continue to work with Mrs. Coryea to water and maintain the trees over the summer and throughout the next several years. 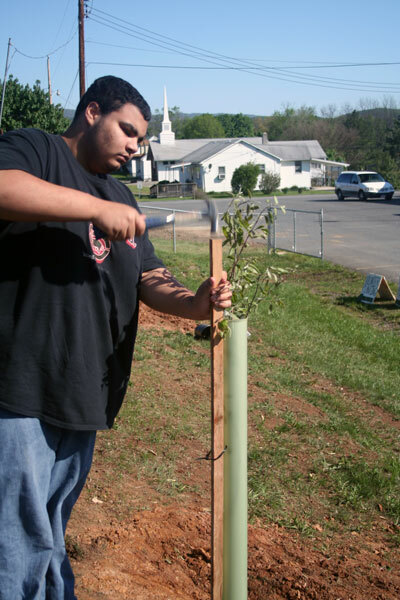 The 24 flowering trees immediately improved the aesthetic value of the school grounds. 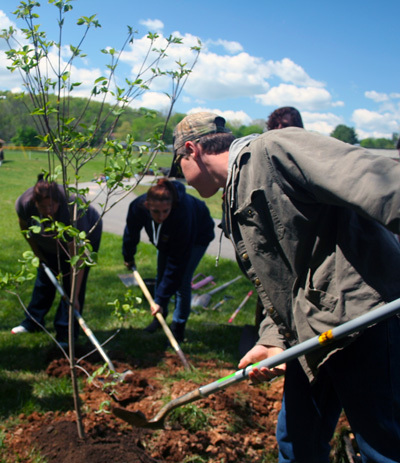 As they grow they will increasingly reduce stormwater runoff, provide shade and recreation, and grow the school’s urban tree canopy. 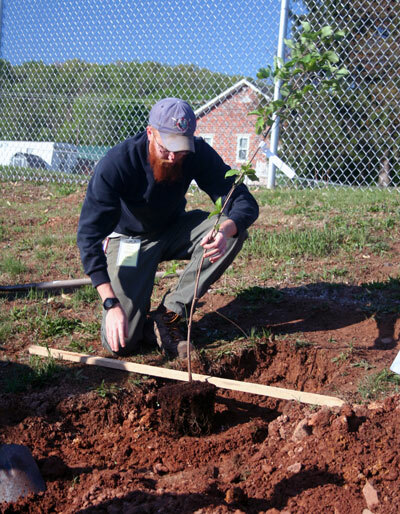 CI staff Tanner Haid and Ben Alexandro leading a tree planting demonstration. 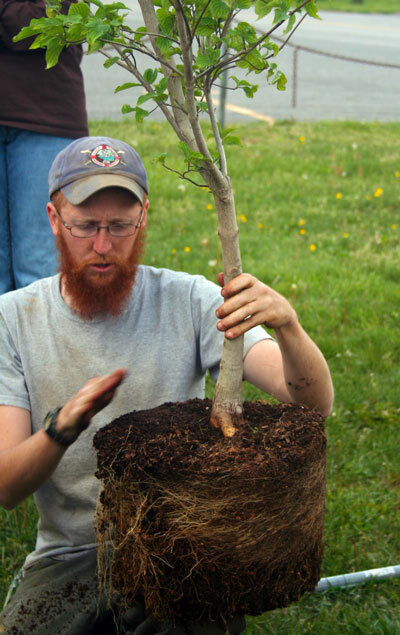 CI's Tanner Haid inspecting the root ball. Too low, won’t grow: Too high, won’t die. Nothing left to do but put up the sign. Cacapon Institute - From the Cacapon to the Potomac to the Chesapeake Bay, we protect rivers and watersheds using science and education. Website made possible by funding from The Norcross Wildlife Foundation, the National Fish and Wildlife Foundation, Virginia Environmental Endowment, NOAA-BWET, USEPA, The MARPAT Foundation, and our generous members.